BLOT-LINE Yersinia IgM | TestLine Clinical Diagnostics s.r.o. 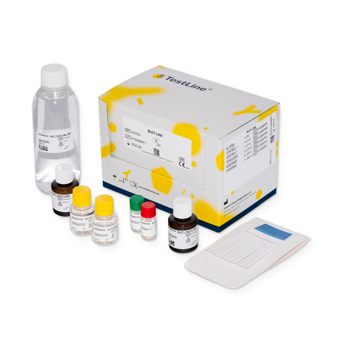 BLOT-LINE kit for the detection of specific IgM antibodies to recombinant antigens of Yersinia species in human serum or plasma. · Antigen used: combination of selected parts of the specific antigens of Yersinia spp. (YopB, YopD, YopE, YopH, YopM, YopN, LcrV, Ail, Invasin ) and species-specific antigens of Y.enterocolitica (YstB, YscM-Y.Ent) and Y.pseudotuberculosis (YscM – Y.Pst).